Renting Partnerships’ addresses both the cycle of poverty and wealth inequality by acquiring housing, keeping it in common ownership and empowering residents to build wealth through participation in management. 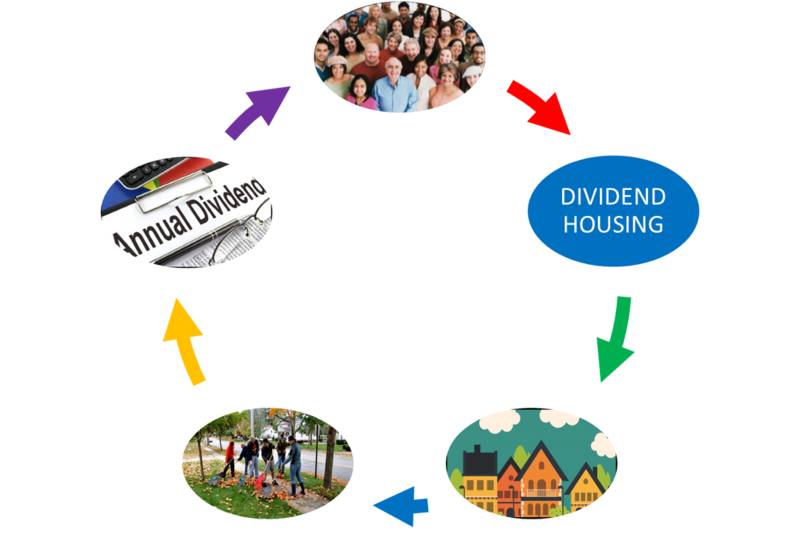 INVESTMENT IN Renting partnerships' dividend housing fund offers A WAY for concerned individuals and organizations TO put some of their money to work for social justice. Renting Partnerships offers community, stability, and a meaningful role in management for long term renters. Renting Partnerships parallels home ownership by providing a way for renters to participate in management and build financial equity. Residents develop skills and build financial credits by participating in upkeep, fulfilling lease commitments and collective decision making. Each household earns credits monthly as they fulfill responsibilities within the community. The credits become vested after five years and can be accessed as cash to weather emergencies and meet long term goals, much as a homeowner can access the equity in their home. Credits build to $10,000 over ten years. We seek impact investments, grants, and loans from socially motivated individuals and organizations to acquire and rehabilitate housing and keep it permanently affordable. The terms of investment lower the financing expense so that we can keep rents at least $500 below the market. Investment in what we call Dividend Housing prevents displacement, stabilizes families, empowers residents and creates more diverse neighborhoods. Investors can receive dividends and get their principal back as new investors replace them. The property is owned and managed by Renting Partnerships. It will not be sold and all operating expenses, including reserves for maintenance, are funded from rental income.